The Opi one is definitely a winner, but I actually like the look of that waxy Cult one! nyc has i pretty decent matte polish as well! This is very good info. 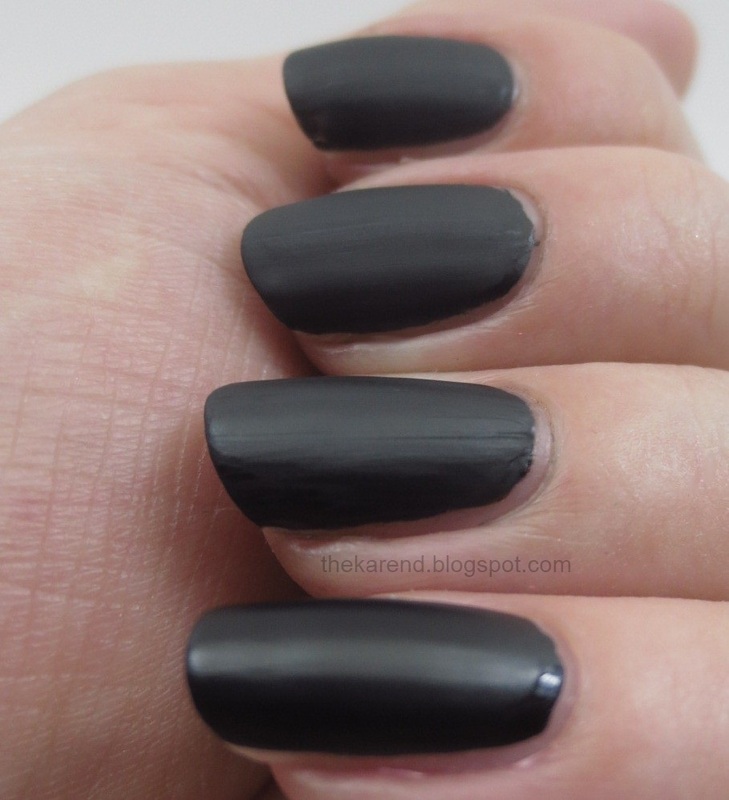 I think a matte should be matte and a couple of those are too shiny for me. I think I may need to look into getting a bottle of Cult Wax That to have a satin option versus a more traditional matte look. Thx for comparing! 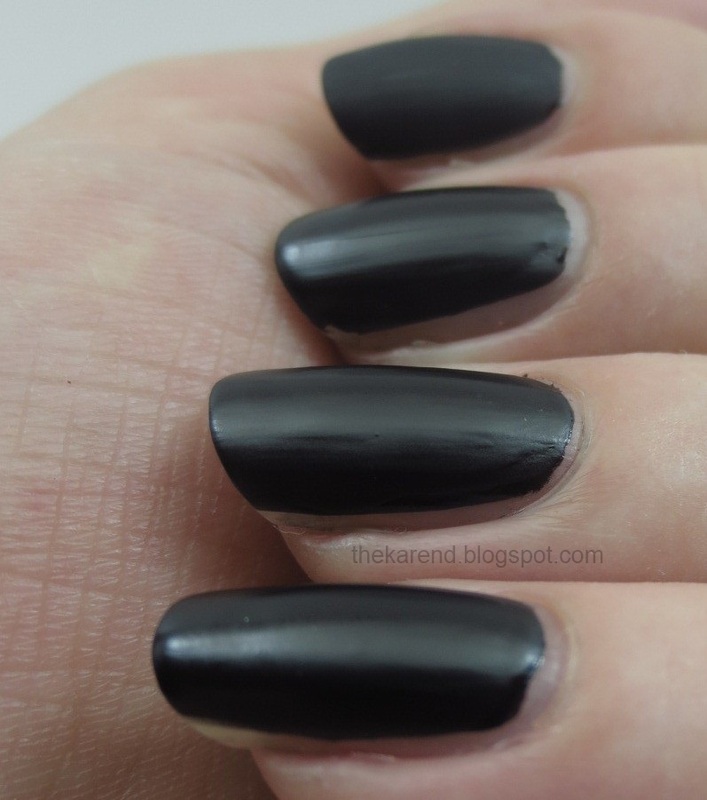 I really like this matte series :) good comparisons! 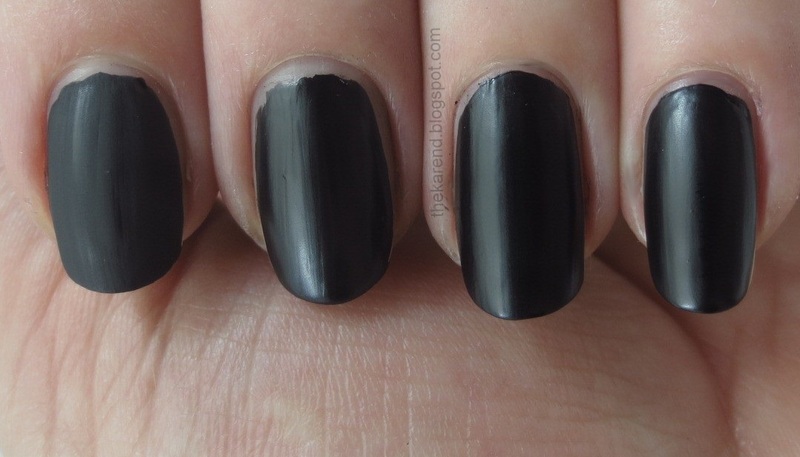 Salon Perfect came out with a matte top coat, but I haven't tried it yet. I have one from Essence, works like a charm! Just as good as O.P.I. It only cost me €1,79 ($2,38)! I just pulled out my Essie Matte About You that had been sitting in my drawer for about a year and it's gone super thick and unusable. Do you think I could try polish thinner in it? Anyone tried that before? That Fingrs polish would be cool if it had an actual striping brush in it. Queen of crap, I bet polish thinner would work on your Matte About You. If you try it & post about it, be sure to let me know so I can link to your findings. awesome comparison. 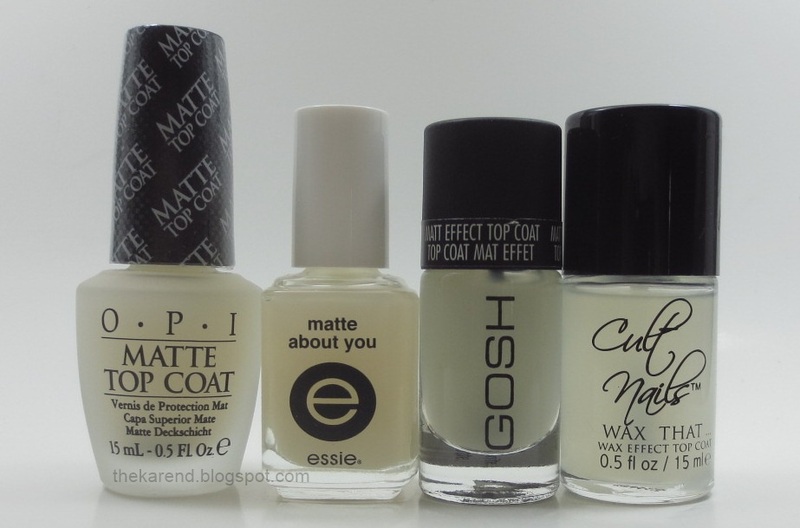 i want to buy all the matte top coats lately though i rarely mattify anything. i do like the cult nails wax finish though just cause i really like wax look. i might have the old orly satin one somewhere. i should find my matte top coats and do a comparison one day, too. fishgirl, you should! And if you do, make sure to send me the link. 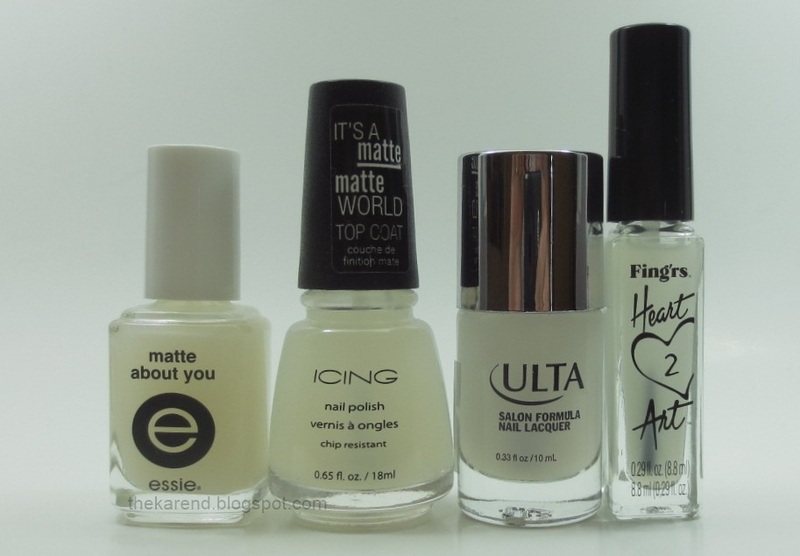 In these swatches Opi and essie looks exactly what im searchung for! but my own essie turns out a little more shiny/satin that i like.. Considering if i should buy OPI, but how long does it tuly stay matte?